The Trinidad floorplan in fantastic Suncoast Lakes is an absolute “must see”. Sitting on a large pond with a terrific paved Lanai, this is Florida living at its best. But wait until you see the Deluxe kitchen that is the heart of this home. With a built in oven and cooktop, GRANITE, upgraded cabinets, an island, a large breakfast bar, pantry, and large eating area, this kitchen is perfect for entertaining. The Flex space in the front of the home is ready to be a dining room or office/den. The large living room with cathedral ceilings has huge sliding doors that open into the wall. On one side of the home is the master bedroom and bathroom. The master bedroom has sliding doors to the lanai and a sitting area. The master bathroom boasts double vanities, a large walk-in shower, garden tub, and a huge master closet. On the other side of the house sits three bedrooms and two bathrooms as well as the laundry room. The bedroom at the back of the house has its own bathroom and is perfect as a mother-in-law suite or guest suite. There are NO CDDs and very LOW HOAs in this neighborhood. Make sure you visit the community pool, tot lot, basketball court, and clubhouse, as well as the entrance to the bike trail. 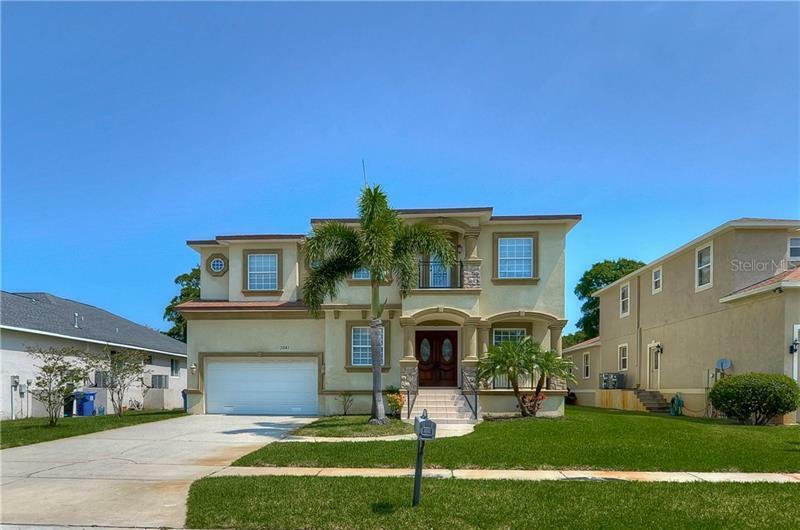 This popular neighborhood sits just west of the Suncoast Parkway/toll road for easy access to all that Florida living has to offer.